Let us take the worry out of your next custom drapery, window treatment or bedding project. 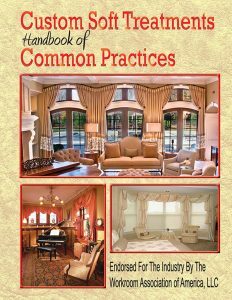 Our 4th publication, is a comprehensive book detailing the common practices involved in the fabrication of custom window coverings and soft furnishings. At Precision Draperies we specialize in custom fit draperies and treatments. With over 40 years of experience you can be assure your project will be tailored to your specifications. Each project is handled with care from start to finish.